In multinational companies, professionals often need to communicate with multiple teams across multiple sites which may be offshore in different countries or even on different continents. Important skills are required, not just in terms of technical expertise, but also experience in understanding people from different cultural backgrounds and managing their expectations. The agenda should be agreed with all the parties involved beforehand so that there are no unexpected items for discussion. All the participants will then be well prepared to discuss what is on the agenda. Organisers should familiarise themselves with the history of the agenda items and their particular significance to the parties involved, so that contentious issues do not disrupt the purpose of the teleconference. Define clear goals and directives for each topic without dampening the contributions, thoughts and involvement from the participating members. Each topic should be discussed in the order of its importance and/or relevance. This can be decided together with the agenda. 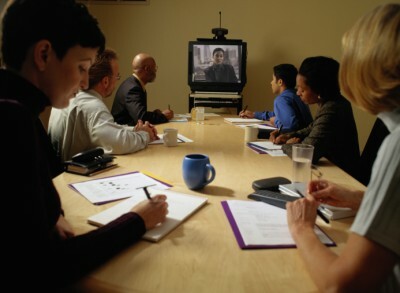 It is necessary to get the full support of the participants for the conference call. Inform the parties involved sufficiently beforehand on the timing and venue so that the conference call does not clash with their work schedules. This will also give everyone sufficient time to prepare and take part actively in the discussion. Organisers should conduct sufficient technical research into the various aspects to be discussed and the overall goals and outcomes to be agreed on. Everyone should be encouraged to respect the starting time of the meeting and any time constraints when discussing the agenda items during the meeting. Since venues are located around the globe, some will be starting their workday while others will be ending it, and any delays can affect the amount of time available for useful discussion. It is useful to send out a gentle reminder in advance of the teleconference, highlighting the importance of starting the meeting on time. Avoid scheduling the teleconference on the eve of public holidays and other major religious or secular holidays. The organisers should ensure that the participants co-located with them, as well as the participating off-site teams, are housed comfortably during the course of the teleconference. This improves the free flow of ideas and maintains a sense of focus on the agenda at hand instead of getting distracted by environmental deficiencies. Book and confirm meeting rooms in advance and, as far as possible, avoid making last-minute changes to the venues. The sound clarity of the conversation is essential, especially in mission-critical teleconferences. Audio lag, missed syllables and static can interfere with the message of the conversation. Sometimes, it can even add to misunderstanding or withdrawal from committed parties to further discussion. The teleconferencing system itself should be carefully selected so that it gives sufficient audio bandwidth to aid in clarity and intelligibility, which should also be extended to the other off-site venues. The organiser should check in advance that the different sites have this implemented before the meeting. If additional video bandwidth is required, the video should not undermine the audio clarity and timing. Remember to prevent interference feedback from the speakers. Sufficient two-way simultaneous communication systems should be used, instead of the stilting one directional conversation, so that participants can communicate freely and syllables are not lost in case of interruptions or noise. In today’s short and challenging project timelines, the drive to address issues by getting to the point has become imperative. This will require a certain amount of empathy and exposure to the different cultures involved to ensure that cultural differences and/or regional factors do not interfere with the outcome of the teleconference. Additional constraints — like the lack of visual feedback, time zone differences and climate — are influencing factors and should be considered as well. Sufficient preparation is a cornerstone activity in organising and maintaining an international teleconference effectively. To hold a successful teleconference, the organisers should do all the necessary legwork, be aware of the various pitfalls and effectively manage the participants’ expectations. Being supportive and open to participation and nurturing communication without imposing ideas can bring about an outcome that can greatly support the underlying objective of the teleconference. Article by Brian Fernandes, who has nearly 15 years of experience working for multinational companies in electrical and electronic design and product development.